On the first Sunday of every October, hundreds of millions of people around the world join together to pray for the peace of Jerusalem. 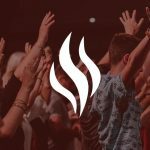 Beginning in 2002 in meetings with leading political and religious leaders from Israel and the United States, this is now the largest prayer movement of its kind, with over 1,400 key leaders within the Evangelical Christian world lending their active support. The vision is for sustained, fervent, and informed global intercession for the peace of Jerusalem and all her people rising from the heart of every believer in every nation on the planet. As you pledge to pray for the peace of Jerusalem, we want to equip you with the most effective prayer resources available. Jerusalem needs our prayers more than ever, and we are glad you are joining this global prayer movement. We look forward to sharing strategies on praying for Jerusalem! Join with over 1,400 Christian leaders and millions of believers standing in prayer for Israel on the first Sunday of every October. Enter your name and email address below to add your name to the list of signators of this prayer resolution. Click HERE to see the full list of global leaders participating.